Sometimes we are just craving for something delicious dessert but we don’t want all the sugar and empty calories. 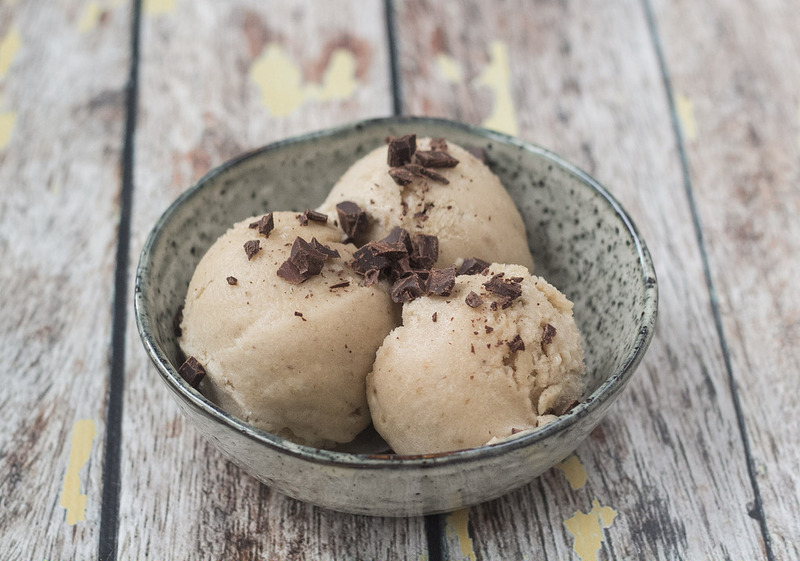 This is a recipe for a delicious banana ice cream which is a really great alternative to regular ice cream. 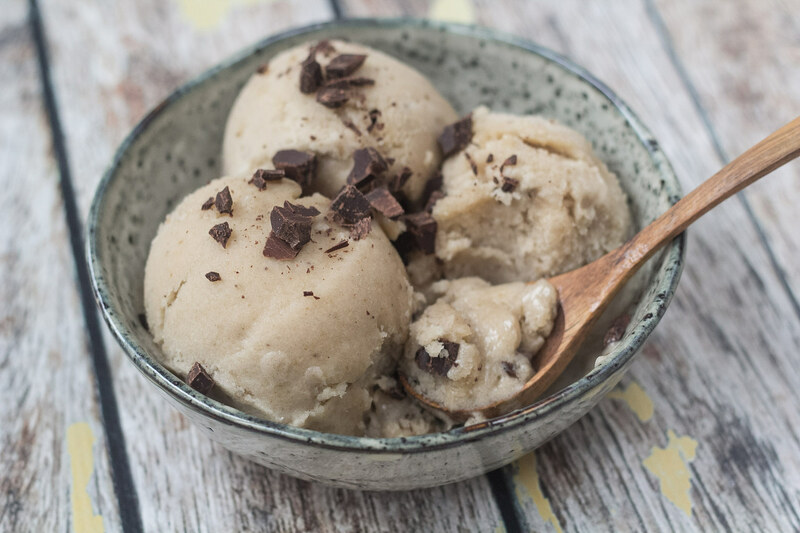 This banana ice cream does not contain any sugar or heavy cream – it only contain one ingredient; bananas. 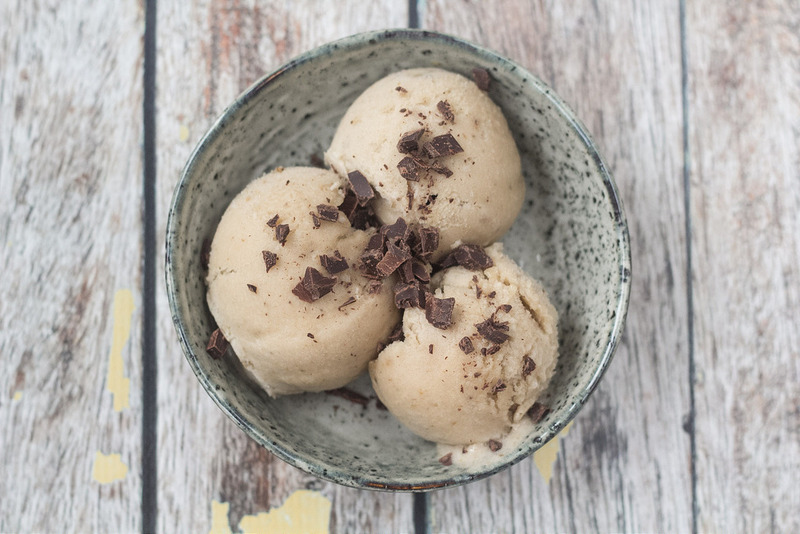 The ice cream has a nice and creamy consistency which is similar to sorbet ice cream. 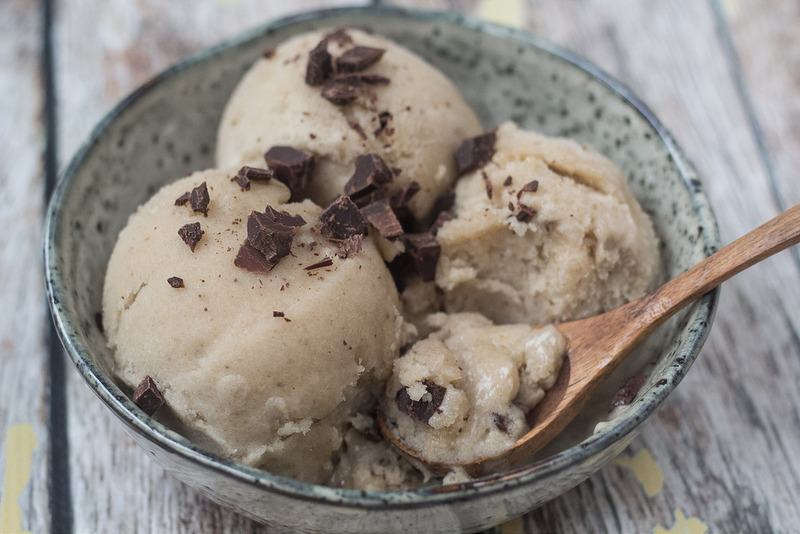 If you prefer the consistency of regular ice cream you simply just refreeze it after you have made it. Will like to serve this ice cream will some chopped dark chocolate as topping. We normally always some bananas in our home which we eat as healthy snacks between meals or after a workout. Sometimes, we have bought too many bananas or forgot to eat them and then they get overripe. Instead of throwing them out we cut them into smaller pieces and keep them in the freezer. 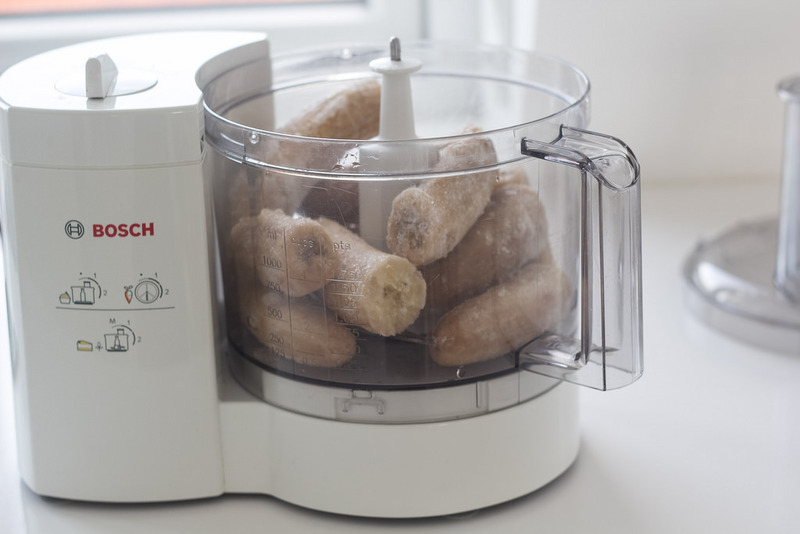 These frozen bananas are great for many thing – we have actually made a small guide about frozen bananas. 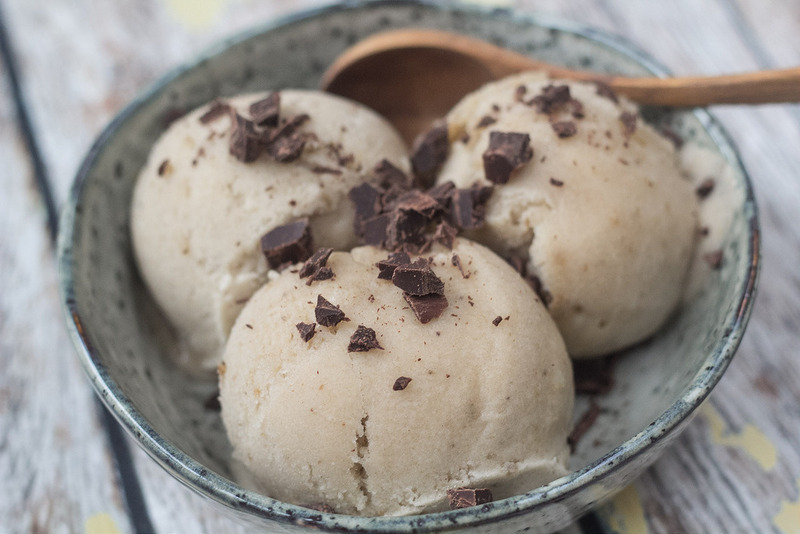 You should really try this great and healthy ice cream – perfect for hot summer days. 1. Cut the bananas into slices and freeze them in a bag or small container. They should be in the freezer for about 2 hours or until they are completely frozen or hard. You can with advantage do this some days in advance. 2. 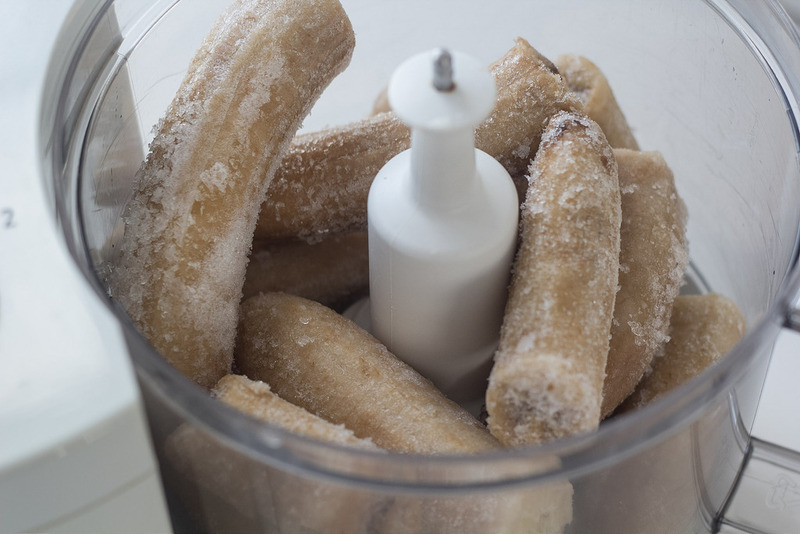 Pour the frozen banana pieces in a food processor or blender and blend them until the consistency is nice and smooth. 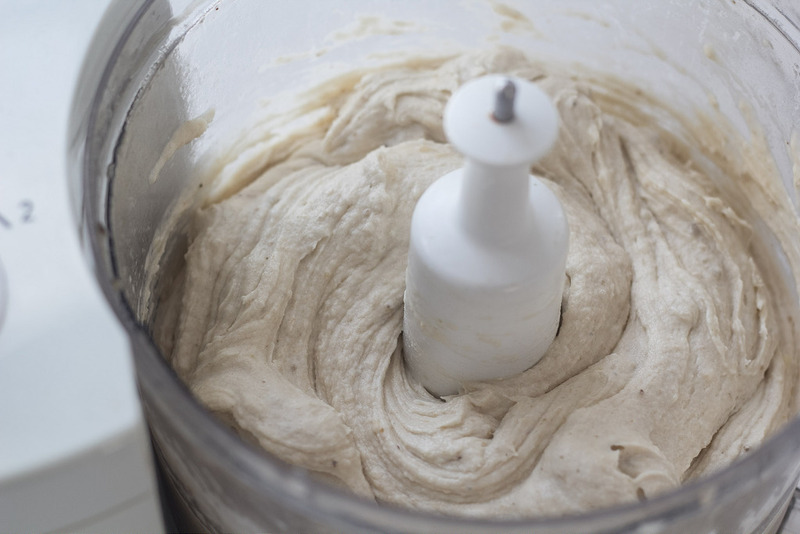 First the bananas get turned into a powder, just continue blending and you will get a nice ice cream. 3. 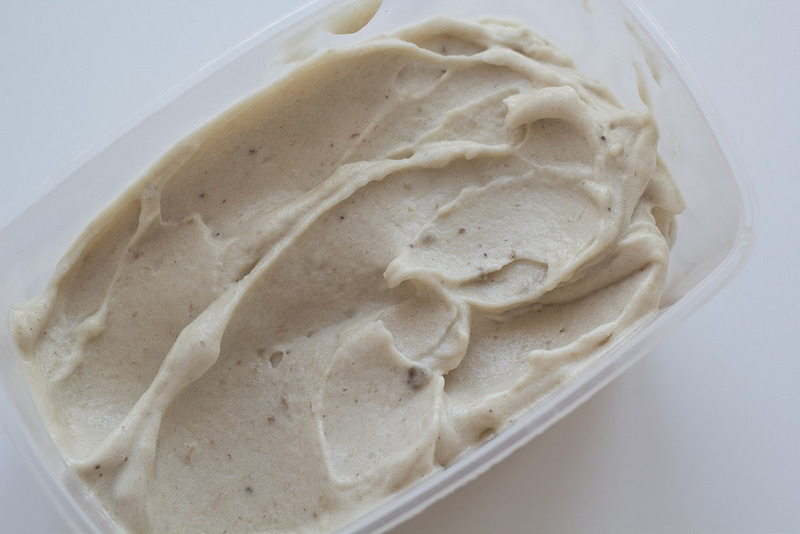 Serve the ice cream as it is or put it back in the freezer and the consistency will become more like a regular ice cream. Then you can also make nice ice cream scoops.